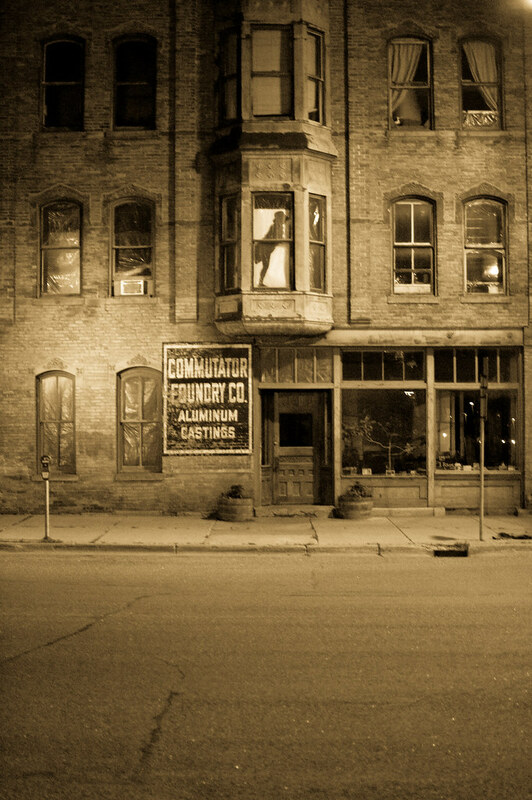 Minnesota Pictures: Minnesota Photos that define the northstar state: Commutator Foundry Co.
A striking nighttime photo of an abandoned foundry in north Minneapolis. Done as a sepia tone makes this photo even more historic feeling. Thanks for the kind words about the photo. The scene was quite striking, I'm amazed at how natural this building looks, long after its' glory days have passed.